Phase Eight’s stunning bridal collection mixes contemporary silhouettes with hand-sewn beading for styles that truly capture the romance of your big day. Your bridal party and guests are covered too, with bridesmaid dresses to suit any colour scheme, complete mother-of-the-bride (or groom) outfits and stylish dresses and jumpsuits your guests will love. Keep scrolling to see our favourite dresses and the beautiful accessories to complete each look! Why not book a free bridal styling appointment? Phase Eight’s style consultants are on hand to advise and help you find the dress of your dreams. Phase Eight’s new wedding dress collection is romantic, elegant and wonderfully affordable. This dress features delicate, embroidered floral lace and a soft train on a contemporary one-shoulder design. 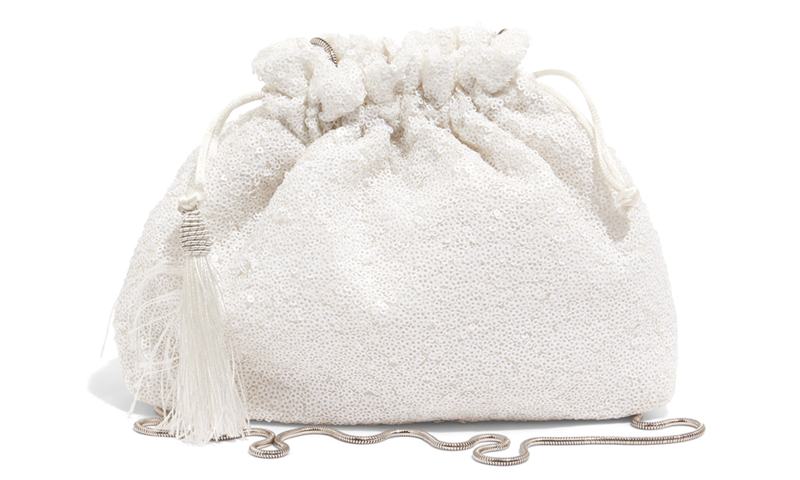 Designed in a soft vintage-inspired shape, this sequined clutch bag with on-trend tasselling is definitely a keeper. Phase Eight has everything a bride could need including veils, jewellery and shoes. 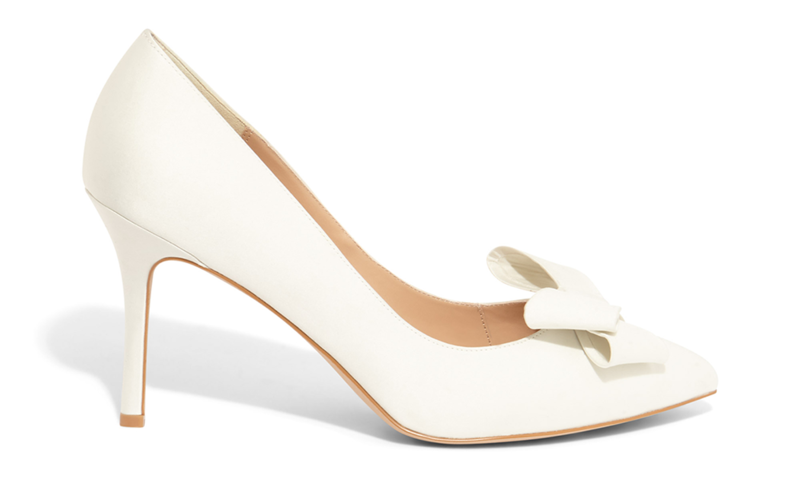 This satin court heel, complete with bow detail, is an elegant finishing touch. Dusty pink is the perfect colour for this romantic cold-shoulder dress. The textured fabric, gentle flared skirt and silhouette-enhancing seaming will make it a guaranteed hit with your bridesmaids. Surprise your bridesmaids with these gorgeous misty mauve pearl drop earrings. Carefully chosen accessories are the difference between a good outfit and an amazing one. 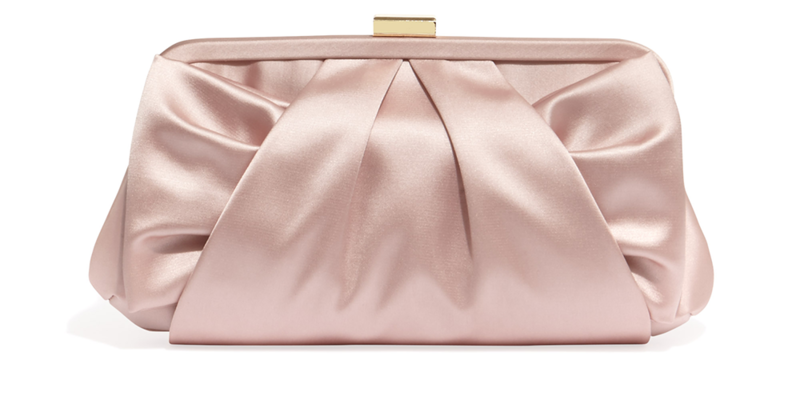 Whatever you need to complete your bridesmaids’ look, Phase Eight has it – like this satin bow clutch. With its detailed lace bodice, sweetheart neckline and shape-defining waistband, this dress is flattering and stylish. Phase Eight’s edit of mother-of-the-bride outfits is so refined that you’ll want to buy several to wear to all your big events! This fitted occasion jacket, designed with an open front and soft peplum hem, goes perfectly with the Harmony dress. 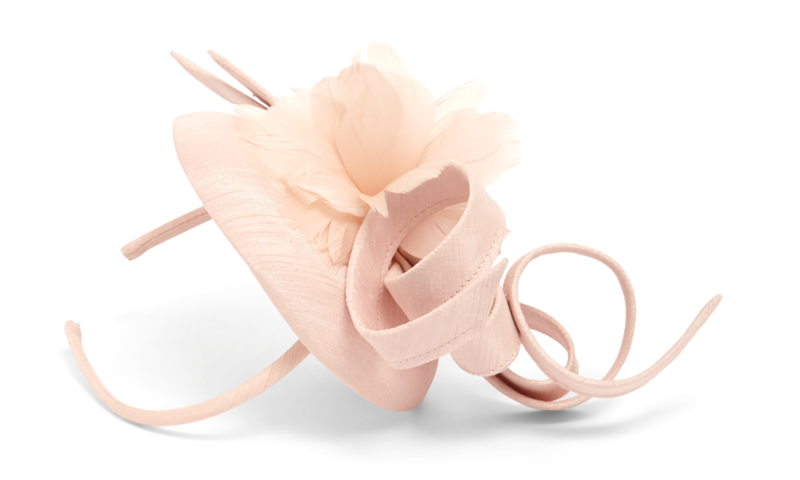 Complete your outfit with a hat or fascinator from Phase Eight’s versatile collection, like this floral pillbox fascinator, also available in navy.